It is rather unbelievable yet a truth; only 10-15 years ago, most of the corporate houses, businesses, and professionals didn’t have any website and also they were not too much interested in creating one. But suddenly a boom, a wave covered the entire market atmosphere and today each business has its own website or a set of specific sites related to each brand introduced by them. It is not just a standard, but an undeniable condition to securing a sound web presence in the digital and social media scenario. 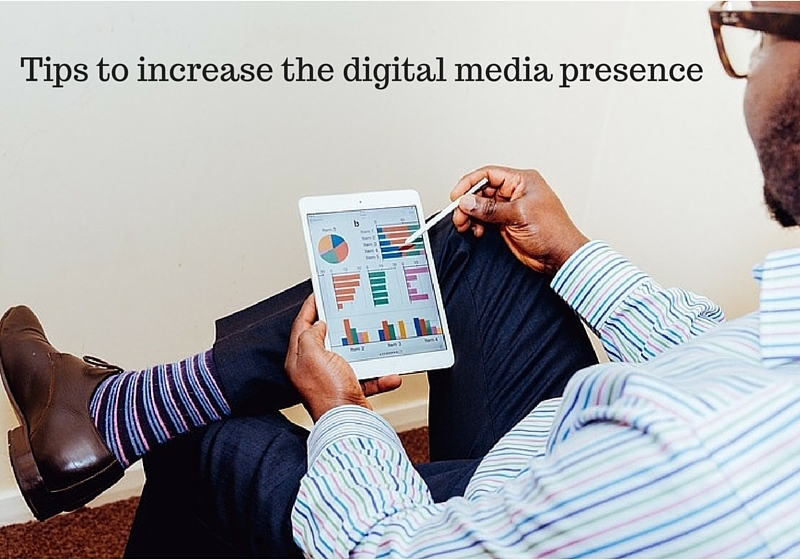 Following are the tips to increase the digital media presence on the various sites, microsite, and social media platforms. It works like your home, where the visitor’s visit, know about you and develop some meaning relationship with your brands and services. Your website is a digital brochure that can support in emailing pages, informing your present and potential clients about your specifications and practices. A website works as a never complaining employee; it works 24*7 even when you are sleeping, it welcomes the visitors and solves their curiosity. When you have your website, you need to track the visits made by the internet users. How many people are visiting and from where? What is their specific age group? Or what is the particular time or query they often follow to visit your site and much more. There is a pretty good variety of web analytics tools are available in the market to offer you a great deal of support here. Google Analytics is a specially recalled name as it is convenient to apply for help you get the enough and import data. For more detailed studies and analysis, a business house is suggested to hire a marketing professional or a digital marketing agency so that your website tracking efforts may go in the right and productive direction. It is essential to building the net of various web properties around the main website. A digital marketing agency can help you specifically in this. By developing a sound, goal oriented and analytical digital strategy and executing it in a proper manner, a business can boost its leads generation funnel and influence most of the search leads to be transformed into the clients. The web properties or the digital ecosystem is actually the set of relationships that visually clarify the process or the journey of a customer to get connected with your site and other digital channels provided by the business. Each social platform (Facebook, Twitter, YouTube and many others) has its own unique and signature identity and the objective behind developing a digital ecosystem is to create a support for your brand, mentor the relationships and ultimate generation of the leads. A local business directory can offer a great help in improving the digital presence of a business. If you manage to claim the listing and make them more professional, attractive and inviting, you can easily get a remarkable number of potential customers and prospects. Social networking is a great tool for developing and maintaining the social presence of a brand or a business. You need to create a business profile on one or many social platforms and promote your specific products and services to the millions of the internet users around the globe. And by submitting the relevant blogs and attachments, you can easily grab the attention and improve your visibility. With a good website, you can serve many motives other than just informing the internet users about your products and services. It can efficiently be used in creating market awareness and improving the brand value of the company also. Advertising, market research and trend analysis and many other concerned matters also can be handled with the help of a sound and systematic website. If applied smartly by a good team of marketing professionals a website along with some suitable digital online tools, can be used to identify the opportunities for further growth. Though you have one or more social media profiles and you have put information on it relating to your products, specifications, and view, it is rather unproductive you are not visible there with routine upgrades and recently added features. With the regular posting and updating the information, you can maintain the position in the knowledge list of your audiences. One more thing, the customer interaction on the regular basis is also very important. Believe it, it really works! A good quality content that is educational, informative and entertaining is the most productive element in the online marketing prospects. To improve the quality and visibility of your post you need to input the adequate amount of relevant pictures, videos, slide deck and interviews. 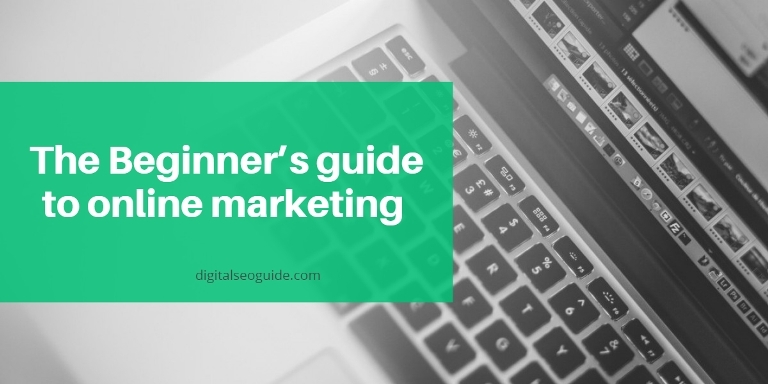 With the further attachments like well-designed infographics, effective backlinks and polls, a blog post becomes loaded with more authoritative tone. Sponsored advertising is the way of directing your advertising and promotional effort with the help of many other websites of the same niche. Each click on your advertisement will directly bring the traffic to your website. The method is also important that even if the customer doesn’t, click on it, he simply watches it, knows about your company and your mean of improving the digital presence is solved. The world of digital media marketing is very exciting and challenging at the same time. Any strategy can be effectively worked if you are consistently evolving in it. Determine your goal, make a plan, regular follow-up, use appropriate tools and regularly analyze your progress; it is the process to ensure the success of any online marketing strategy. As the result, you will get a great traffic and a remarkable digital presence. How To Create A Digital Marketing Strategy? How To Become a Self Made Digital Marketing Expert/Digital Marketer?